Dubai: The UAE Pioneer Award winners were honouon Wednesday. His Highness Shaikh Mohammad Bin Rashid Al Maktoum, Vice-President and Prime Minister of the UAE and Ruler of Dubai, honoured the winners at a ceremony. Every year, since 2014 Shaikh Mohammad recognizes a select group of Emiratis with The UAE Pioneers Award. The Award is usually given in honour of their service to the nation and their pioneering spirit and for being the first in their field. This year, Shaikh Mohammad is shedding light on national projects that reflect Shaikh Zayed Bin Sultan Al Nahyan’s reign and legacy. For example the Louvre, Burj Khalifa, Dubai Metro, the Arab Reading Challenge, Prince of Poets, the Million’s Poet, Khalifa University, American University of Sharjah, the Union Museum, and Hope Mars Probe to name a few. This year, the vote for the Emirati achievements has received an unprecedented response with one million votes on 58 national achievements since the voting was opened last Thursday until yesterday (Monday). What exactly are the Pioneers Awards? The Pioneer Awards is a social media initiative launched with a tweet from Shaikh Mohammad’s Twitter account in November 2014. The hashtag campaign prompted the public to vote for national projects that are impactful. The initiative aims to promote projects in the UAE. Shaikh Mohammad said, "This year, we celebrate UAE Pioneers differently. We will not focus on characters, but on achievements. 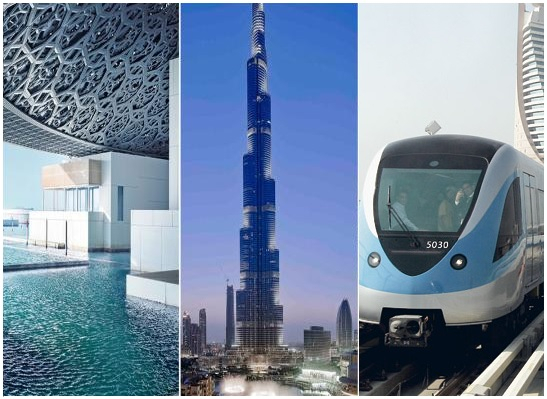 We will celebrate projects that have left a mark on the history of the UAE. Projects that would have made the late Shaikh Zayed Bin Sultan proud, whether cultural, social, economic, scientific, or infrastructure." How were the UAE Pioneers selected? The Organising Committee of the 'UAE Pioneers' initiative sorts the nominations and shortlists those after reviewing them with the government authorities concerned. 46 Emirati philanthropists lead by His Highness Mohammad Bin Zayed Al Nahyan, Crown Prince of Abu Dhabi and Deputy Supreme Commander of the UAE Armed Forces were feted by UAE Pioneers Award in Abu Dhabi to reflect the nation's humanitarian approach since its establishment. His Highness Mohammad Bin Rashid Al Maktoum, Vice President and Prime Minister of the UAE and Ruler of Dubai decorated these philanthropists with medals of honour, to mark the 46th National Day at a ceremony in Abu Dhabi.